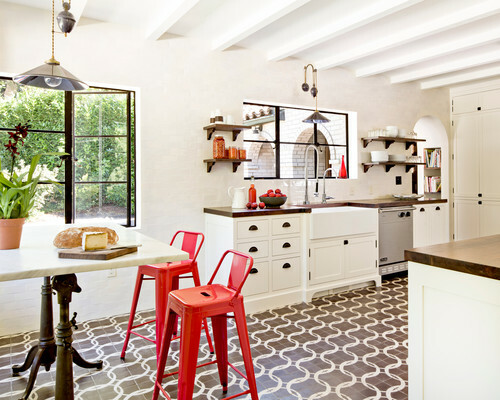 Home » Decor & Design » Other » Cement Tile – 2017’s Tile Trend! 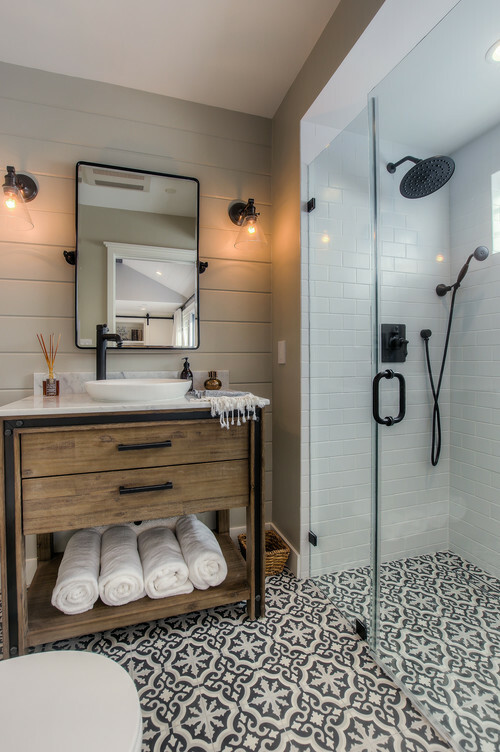 Cement Tile – 2017s Tile Trend…. 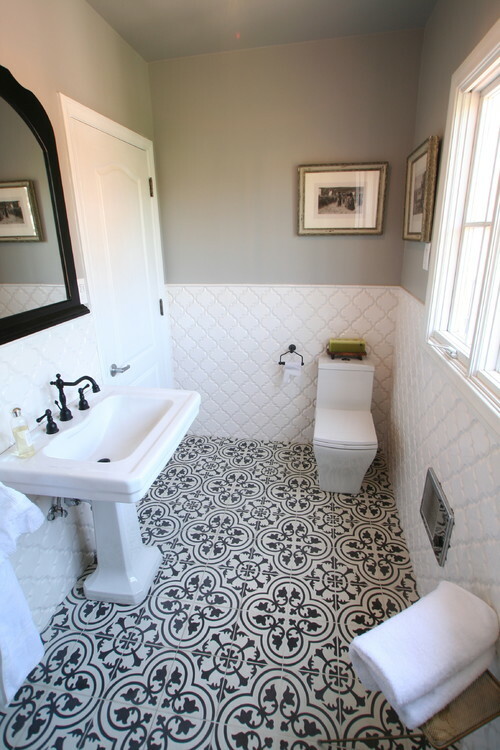 If you are unfamiliar with exactly what a cement tile is, then just take a look at this bathroom floor. 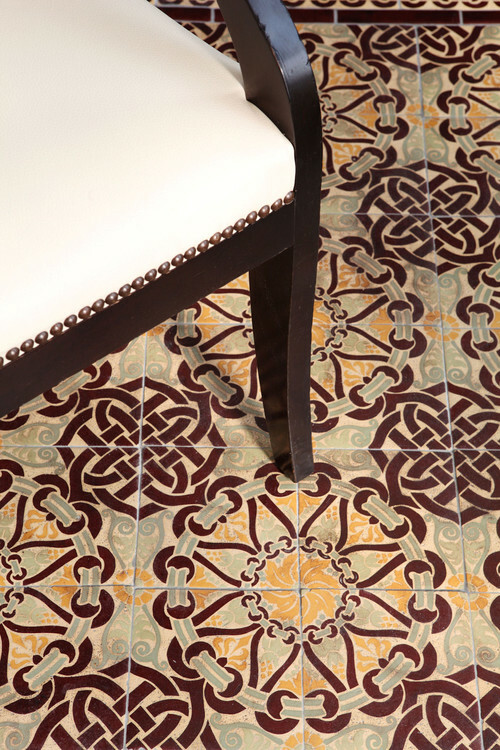 As you will notice, cement tile designs are actually a pattern that is spilt up between 4 different tiles. When placed together correctly, the tiles create a pattern. Because the patterns tend to create a busy look if overused, I prefer to see them in a bathroom. They look particularly nice when the desire is to capture a throwback design. 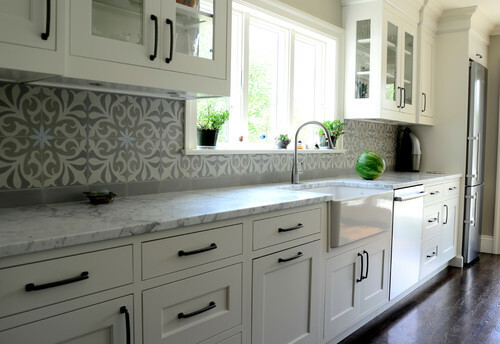 They also can look very nice as a kitchen backsplash. 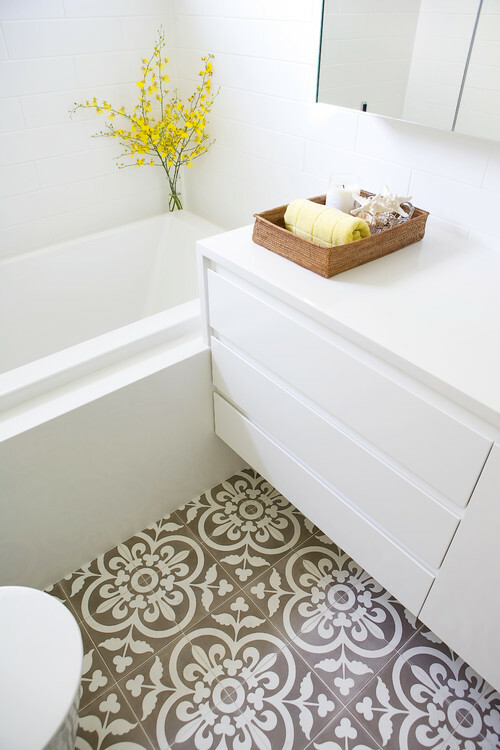 To keep things easy on the eyes, pair cement tile with white or off white cabinetry. They work wonderfully as design accents. I really like the way that they are used here to create a faux rug. However, don’t feel that you need to restrict yourself to just two tone patterns. 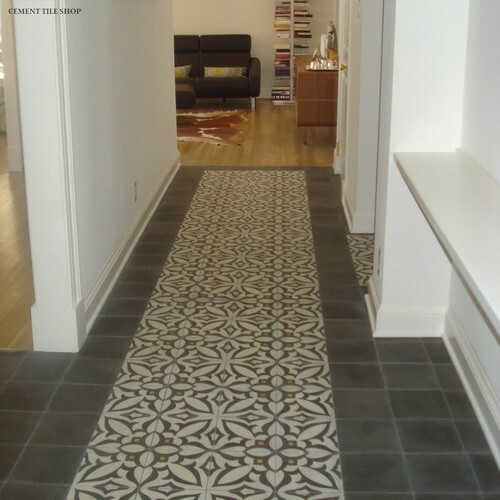 There are a whole slew of options out there when it comes to cement tile. The only rules to using these are (1) make sure that you lay them correctly to create the pattern, and (2) be sure to apply a sealer prior to grouting. I prefer to just seal them before installing, but so long as you seal them well before grouting they will be fine. This is important because the cement is very porous and removing the grout haze will be nearly impossible otherwise. You will most likely continue to see this trend carry over for several more years, so if you are thinking about using these, you should remain trendy for a while yet. However, if you are one of those people who prefer to set it and forget it, maybe something a little more timeless would be better. However, these do have that ability to make a room unique. I admire pattern tiles so much that when a bathroom was tiled with one, I would make out different faces or things from the pattern and my imagination would do the thing. It’s like pattern tiles may be of the same designs but when seen as a whole a new picture could be created and the imagination would work actively.